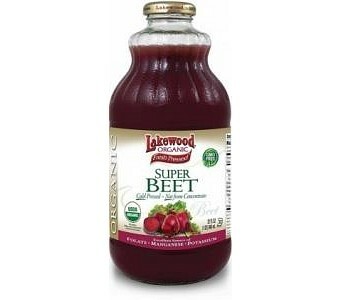 Lakewood Organic Beet Super Juice is not only completely free of pesticides, herbicides or growth regulators, but it is also one of the famed company?s finest ? and healthiest ? products. Containing only organic juice and organic puree from whole organic beets (with a dash of organic lemon for taste), the product will help regulate blood pressure; assist bone development; support the immune system; keep eyes and skin healthy and support the digestive system.